UPVC (unplasticised poly vinyl chloride) is considered to be an extremely useful material for windows as well as doors and pipelines. But as it comes to using UPVC in construction of windows, it must be wrapped around a core made of galvanized steel that makes UPVC stronger and firmer. The material is widely accepted among the builders as well as the homeowners as it hardly gets damaged or altered with climatic changes unlike other materials such as wood. However, the best part of UPVC is it doesn’t require any extensive regular maintenance and repair to keep up with its health. So if you are thinking about renovating your home windows, you can think about UPVC windows. Let’s See Some of The Benefits of UPVC Windows Installation. UPVC windows are much stronger than conventional wooden windows. They are sturdier than that of their wooden counterparts. UPVC windows typically don’t become a victim of extreme weather conditions. They don’t get changed in moist climate. They are absolutely weatherproof and rigid. Their shape doesn’t get deformed even under harsh effect of awful weather conditions. UPVC windows and doors hardly require any maintenance to remain actively functional. UPVC windows ensure higher level of insulation against any sort of noise. They feature good acoustics quality. Any sort of sound pollution like noise coming from vehicles, sound from the hawkers can hardly affect your home. As a result, you can enjoy a comfortable and pleasing ambience inside the home. Engage an efficient UPVC windows Cardiff in order to install these windows and thus prevent cold air to get into the home and thus keep the home warm and pleasant. These windows can be easily fixed, adjusted and eliminated (if needed). And it needs less amount of energy to customise the windows and doors. They can be better fitted and ensure better insulation than that of wooden counterparts. UPVC windows are hardly breakable and thus ensure utmost safety and security. Since they have a hard layer of galvanised steel, they are extremely difficult to break. And this certainly saves you from becoming a poor victim of robbers and thieves. And this is undoubtedly a great benefit of having UPVC windows installed in your home. Most UPVC windows are anti-crowbar. So they can’t be forced open by the intruders unlike they do with conventional wooden windows. UPVC windows are not susceptible to any sort of combustion. They are fire retardant and fire resistant. Such windows don’t rot. They are resistant to any sort of corrosion. They are also resistant to salt erosion and that makes them last longer than any windows made up of timber. Considering the strength and durability, any UPVC windows installer offers guarantee on their service. They help in cross ventilation as they can be opened from both sides. These are a few benefits of installing UPVC windows. 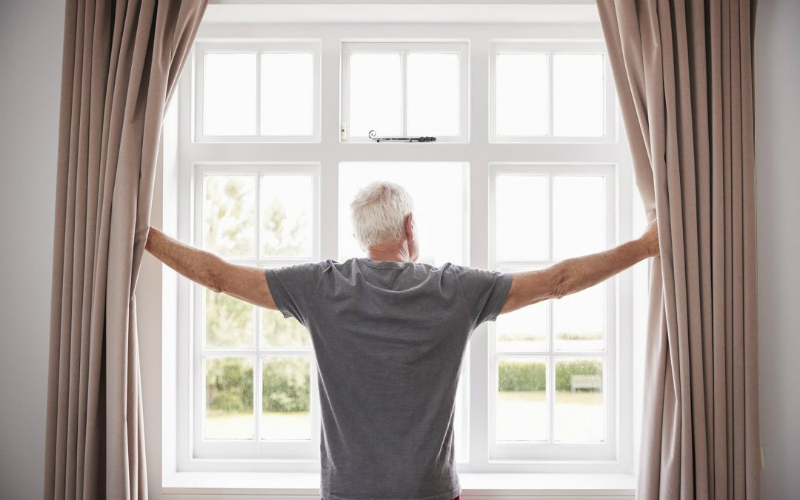 If you want to keep your home safe and secure while spending less on maintaining the windows, choose UPVC.